What are the two yellow bricks next to the Elephant supposed to be? Because it looks like a shameless color splash for the sake of adding a couple of boring, yellow 2x2/2x3 bricks to the mix. Not that it affects me in any way because there's not a particularly close PAB, but it just seems like blatant padding. Principles and whatnot. Foghammer wrote: What are the two yellow bricks next to the Elephant supposed to be? Any idea when the walls will update? Should've been 01Jan, but I read somewhere that some stores were delaying as they hadn't gotten all the parts yet. I'll check my local (just north of Seattle) this weekend. I managed a few decent frame designs. Also, my local Lego Store has been maintaining a "misc bin" where they throw in all the leftover bits when a bin gets low. This is a veritable treasure trove right now with tons of good bits from the last four PaM's and a few other regular PaB parts. If you're near a Lego Store, it's a great deal. 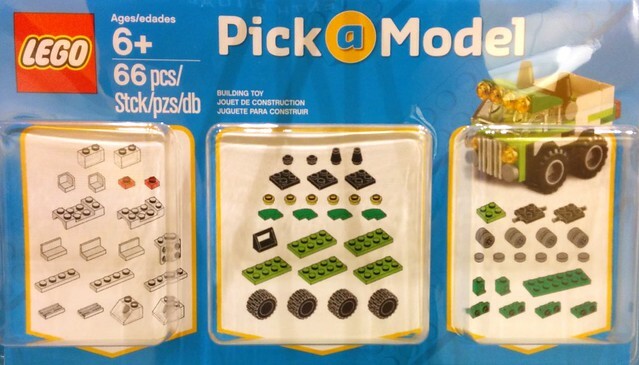 The Lego site hasn't updated yet, but stores have put out the new pcs and blister pack cards. 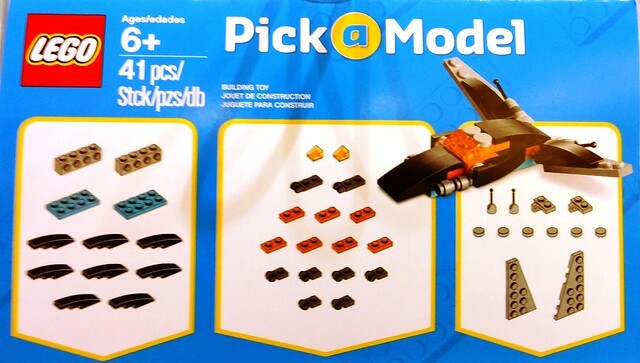 The plane is interesting and the butterfly does a pretty good job of being a butterfly, but neither are great models (although what do you expect for a glorified polybag). The parts though are quite good with lots of snot (new headlights again and lampholders), slopes (1x2's and inverteds and curves), and some clickhinge options. This and a 1x1 rnd plate and a 1x2 plate show promise. Also of note, my particular local still has many of the Q1 pcs on the wall, and even some of the 2015 Q3 and Q4 in their mixed bin. I can't speak for all stores, but the Lynnwood WA USA store is stacked for building little mechs and spaceships. A few builds from just the Q2 2016 parts. 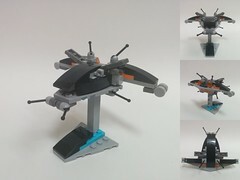 darksyntax wrote: The Lego site hasn't updated yet, but stores have put out the new pcs and blister card packs. Thank you for posting this. I had been looking for more information about the Q2 models after I couldn't really find enough on my local wall to fill a cup a couple of weeks ago. I'll go one step further than you, these models are terrible. With that out of the way, however, the pieces are fantastic. The SNOT parts and bows alone are worth it for me. If there are any 2016 Q1 clear trans parts left I think I'm definitely down for a cup. I realized that I only have a couple, and definitely want more. 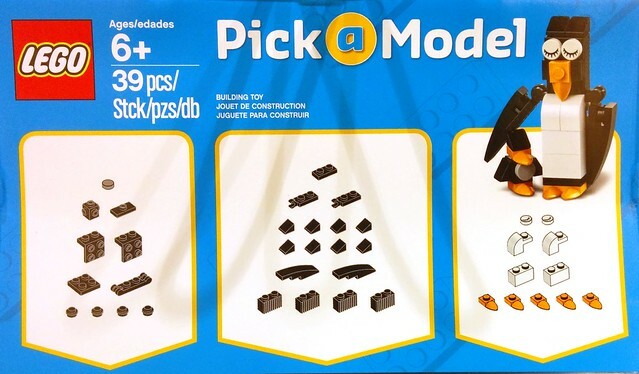 Unfortunately, I don't have enough part *needs* to put together a Bricklink order. I can't imagine they really sold all that many through their system, the PaM seemed awfully expensive to me when you could just get a cup and grab five or six models worth of bricks and some extra stuff besides. The PaB at my lego store always seemed to be out of parts for them pretty quickly. Atavism wrote: I can't imagine they really sold all that many through their system, the PaM seemed awfully expensive to me when you could just get a cup and grab five or six models worth of bricks and some extra stuff besides. Agreed. I've always thought the little boxes for $5 was overpriced and overpackaged. I'd have rather seen a checklist poster on the wall, or better yet a QR code to a page on the Lego site, and just use the regular cups. 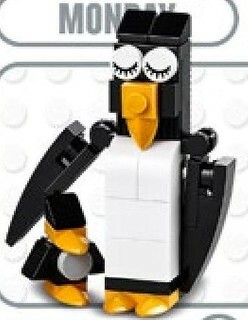 Imagine a PaM page on the Lego site and the click-through marketing possibilities. And for community, you could allow uploads of alt models using the current PaM parts. Atavism wrote: The PaB at my lego store always seemed to be out of parts for them pretty quickly. TLG claimed they would always refill any part that ran out, but that relies on stores reporting outages and I don't think many stores care much about PaM as a product. The cost to a store to sell a PaM vs a small creator set for the same price is huge. A call to my local today confirmed new PaM on the wall tomorrow. They said only one model instead of two this time, but I'll stop by tomorrow to confirm. Just found this too. From the file name, it looks like it will be on the August calendar. Looks to be a lot of recycled parts from previous PaM's. Not especially inspiring, but it does have headlights, cones, brackets, and 1x2 bows. - Just one model this go, but 66pcs for the MSRP of $5US is a MUCH better value than the previous 20-30pcs for the same price. 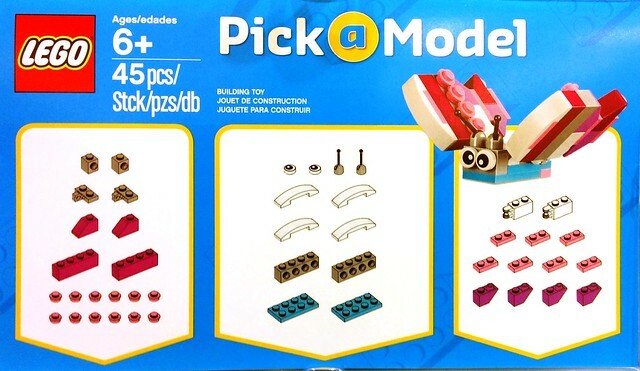 Seems to be a change in direction as I saw a pic of some TLG promo material which showed a 'red construction digger' vehicle that I can only assume is the Q4 PaM. 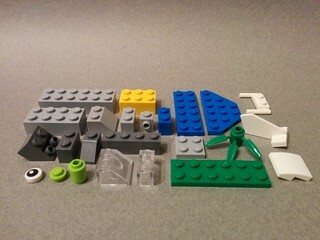 - Mostly recycled PaM parts. Very little new. and Yes! That's correct, all-you-can-eat SAND GREEN!!! Cool! I think the sand green are spill over parts from the special Pick a Model of the Statue of Liberty in New York City. For sure going to be getting some of those. I'm a little late in posting this, but the Oct2016 Lego Store calendar has been spoiled by a few different Lego fan sites and revealed the next PaM. I'll stop by my local around the first and scout it out. I found it doing an image search for PaM's. This never appeared at my local Lego store. Have you seen it on a PaB Wall? Both halves of a Mixel joint and those tan 2x2 jumpers would be nice in bulk. darksyntax wrote: Does anyone know what this is? imgur user says frog, but it looks more like a turtle. Upload date is 04Jul2016. I found it doing an image search for PaM's. This never appeared at my local Lego store. Have you seen it on a PaB Wall? I don't think it appeared at my local either. Maybe because it looks more like the end result of any Frogger game than a live frog. Further searching found that the Oakridge Centre, CA USA page has a proper listing for it. And yes, it's officially a turtle. I have to imagine that different stores got different models in an effort by TLG to mix up the PaM offerings. Something to keep an eye on. Brickset added it to their listings too. Also, those orange teeth plates and the white arch-like things. Looks like a great haul. The baby penguin is essentially an IO frame. Penguin Squad is clearly a thing that needs to happen. Stopped by my local today. Was told TLG had "some issues" and the penguin is shipping late; sales rep said they expect to have it on the wall by mid October. I'll be checking back. Also asked about the turtle PaM I posted above. Was told that it was the "second model last quarter, available to stores that have larger Pick-a-brick walls" and that my local wall is "too small by a few bubbles" to qualify for the second model. Evidently "bubbles" is the unofficial name for PaB bins. Makes me wonder how to identify which stores are large enough. 2106 Q4 PaM is on The Wall.